(CNN) -- Getting the ax is hard. But it's a lot harder with 1,000 of your co-workers listening in. One employee of Internet giant AOL was canned in a very public way because he apparently tried to take a photo of the boss during a mass conference call. 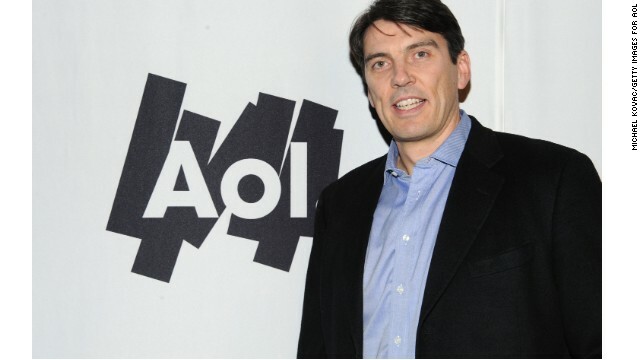 AOL CEO Tim Armstrong was on a call about the future of Patch, the hyperlocal news websites he founded, when he noticed Patch's creative director Abel Lenz and his camera. "Abel -- put that camera down right now. Abel! You're fired. Out!" Armstrong said, according to audio obtained by the media blog JimRomenesko.com. "If, uh, you guys think that AOL has not been committed to Patch and won't stay committed to Patch, you're wrong," he said. Lenz later tweeted from a New York bar: "No comment." Incidentally, less than a minute before Lenz's fatal snapshot, Armstrong said he didn't care if anyone leaked information about Patch. "I also want to clear up the fact that leaking information or anything around Patch isn't going to bother me," the CEO said. "It doesn't bother me, I'm not changing direction." AOL and Lenz have not responded to CNN's request for comment. Court: It was OK to fire 'irresistible' worker.